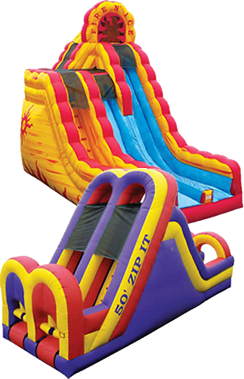 Bounce ‘N’ More, LLC is a family owned and operated party rental business serving Rockwall. We provide Party Rentals in the Rockwall area and bring the fun to any kids party, corporate event, church function, fundraiser or gathering with Inflatable Bounce Houses, Water Slides, Combo rentals, Concession Equipment and Frozen Drink Machines. There are lots of great areas in Rockwall to hold parties and events: Harry Myers Park, Fox Chase Park, Shores Park, and Hickory Ridge Park are just a few. Come see us at some of the many special events we are at in the Rockwall area: Rockwall Founders Day, Rockwall Rubber Duck Regatta, Lake Point Church Fall Festival, Halloween at the Harbor, and the Rockwall Easter Egg Hunt. Our mission is to provide quality, safe party rental equipment that is clean and sanitized, with the best customer service, on-time delivery, and affordable pricing. We are committed to the safe operations of our party rental equipment in Rockwall, TX, as demonstrated by our successful completion of the Advanced Inflatable Safety Operations Certification. As a consumer using an inflatable bounce house or water slide for any event, you deserve the right to find qualified and dedicated operators who are safety conscious with a strong commitment to providing a safe enjoyable experience.